How history can make you a better investor? Who came up with 4% as a “safe” withdrawal rate in retirement and does it apply to you? How to contribute to a 401(k) without lowering your take-home pay? How to influence your kids to become charitably minded? How to simplify your search for the best (for you) financial professionals? How to pay for elite colleges at less than the cost of a state college (assuming you can get in)? Explore these and other important financial issues through the lens of a financial industry insider and award-winning columnist, Julie Jason, whose short insights are carefully crafted to focus on one subject at a time. "Retire Securely" received the 2018 Best Book Award for Personal Finance/Investing. It is the third book in Julie Jason's series on retirement to have won the top award in Personal Finance. The book also won the 2018 Pinnacle Book Achievement Award for Best Book in the Category of Business presented by NABE. Julie Jason’s award-winning, the Retirement Survival Guide (Revised 2017) takes readers through a step-by-step analysis of how they can prepare for and achieve a long and financially secure retirement. Whatever your level of experience or financial circumstance, this book will help put you on the path to financial security, by empowering you to focus on your own situation and find ways to improve your circumstances. Julie has assembled an entire tool kit of self-assessments, tables, checklists, and essential questions to answer. Managing Retirement Wealth, is Julie Jason's award-winning sequel to the Retirement Survival Guide. A real concern for investors approaching retirement is losing assets in volatile or down market periods and as a result, having to either work longer or reduce lifestyles. This book helps individuals understand how to deal with the uncertainty of the markets so that they can anticipate, not react to market-moving events. Whether you're a novice or an experienced investor, you'll find resources, insights, and strategies to make effective decisions upon which a sound financial future can be based. This highly acclaimed book helps individuals graduate from having a collection of stocks, bonds, and accounts, to a big-picture portfolio approach to managing their retirement savings. 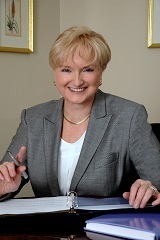 Connecticut residents will want to address how to coordinate their financial and estate plans, the topic addressed in Julie Jason’s Guide to Connecticut Probate. Will your will cause a lawsuit? Provides practical guidance to sponsors of 401(k) plans on setting up and managing their 401(k) plans. This book looks at a 401(k) as an investment alternative, instead of a passive benefit plan.